We’re not all geologists. Very few people can identify a quartz surface from a granite one. In the world of countertops the questions of the benefits of each and how to choose between the two are asked often. Whether you’re building a new home or remodeling your existing one, you’ll want to be educated about the details pertaining to each. This will help you make smarter distinctions. When it comes to deciding on what countertop is right for your bathroom or kitchen, you may find conflicting opinions online. Is it really that subjective, or are there hard facts that prove one is better than the other? Ultimately it depends on what you’re looking for – and your budget, of course. One thing you can almost be certain of, you’ll likely be happy with either surface, consumers of each tend to be satisfied with their purchases. 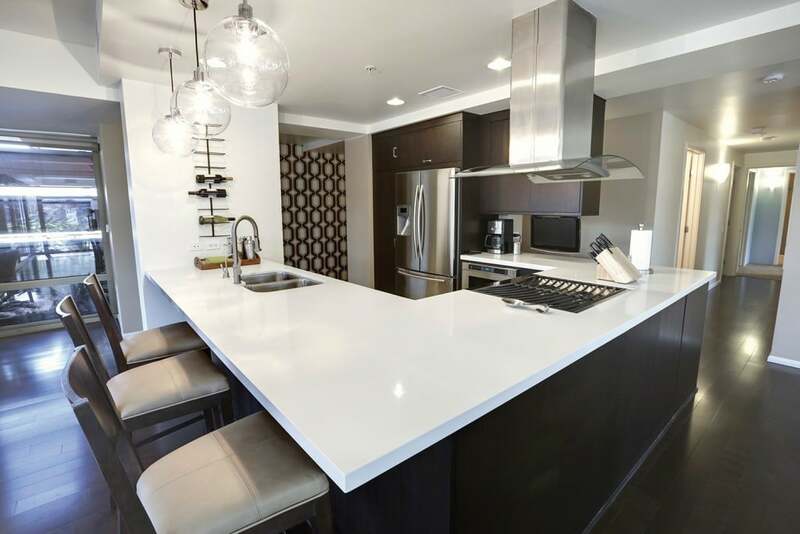 There is one primary difference between the two, however, that everyone should be aware of – granite countertops are of a natural stone and quartz countertops are man-made. 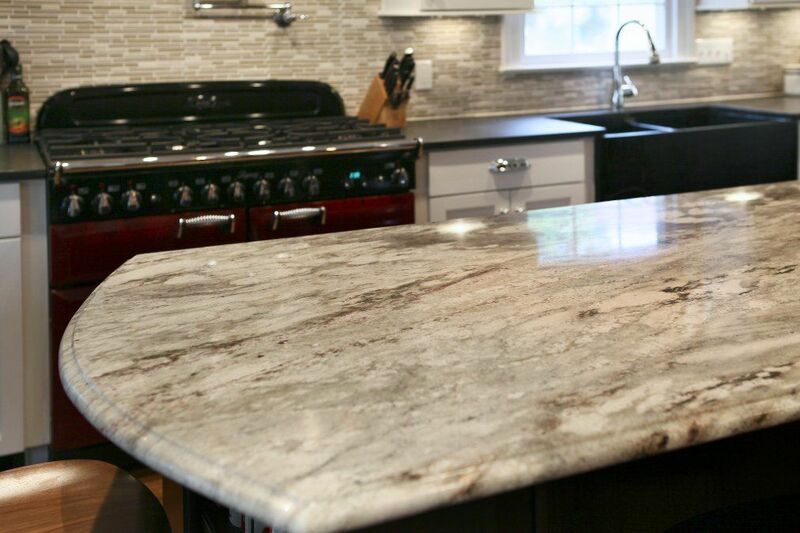 Granite is formed by magma, boiling molten rock that is found deep below the earth’s surface. Intense heat causes the buildup of pressure, making the magma rise through the earth’s crust to the surface. When it cools, it becomes the granite that is then mined and cut into slabs such as the ones we use for countertops. Quartz tops, meanwhile, are manufactured. A mixture of stone chips, resins and pigments is heated at such an extreme temperature that the components are permanently sealed together to create the final kitchen surface material that so many admire. 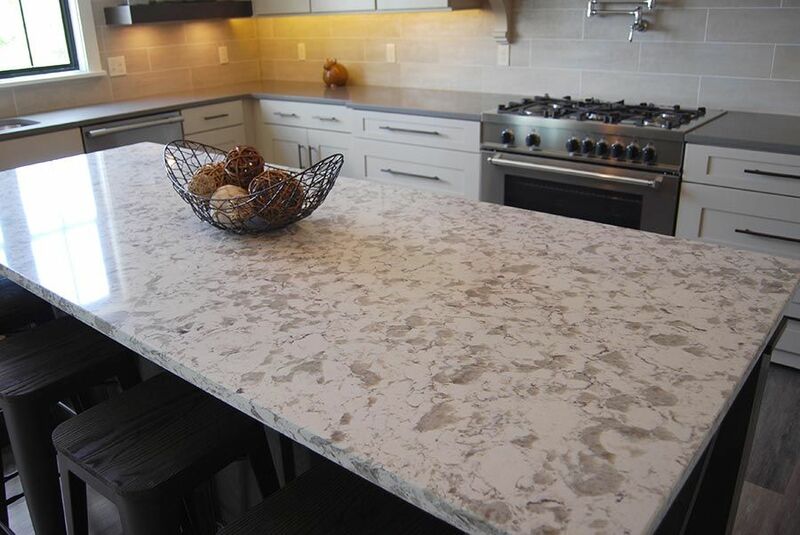 You may hear quartz countertops referred to as “engineered” or “man-made” countertops, which is exactly what they are. Since granite occurs in nature, no two slabs will ever be alike. 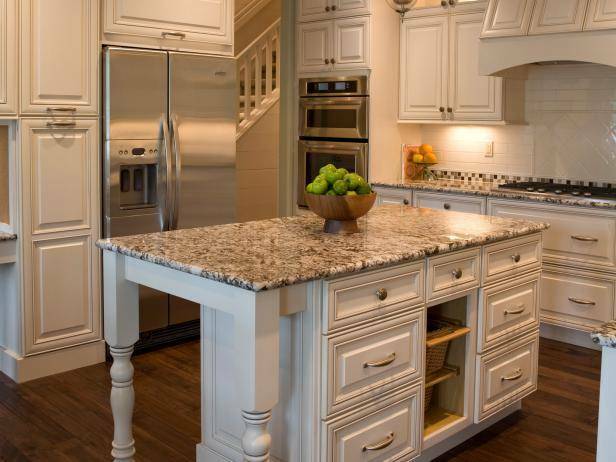 Choosing it for use in a home will present a challenge – there are countless granite countertops options to consider! Varying colors and patterns offer a unique presence that will be specific to your kitchen. It is considered among the hardest materials on earth and is quite durable. It will last a lifetime and beyond. Still, you may find that it may chip or be scratched if not cared for. 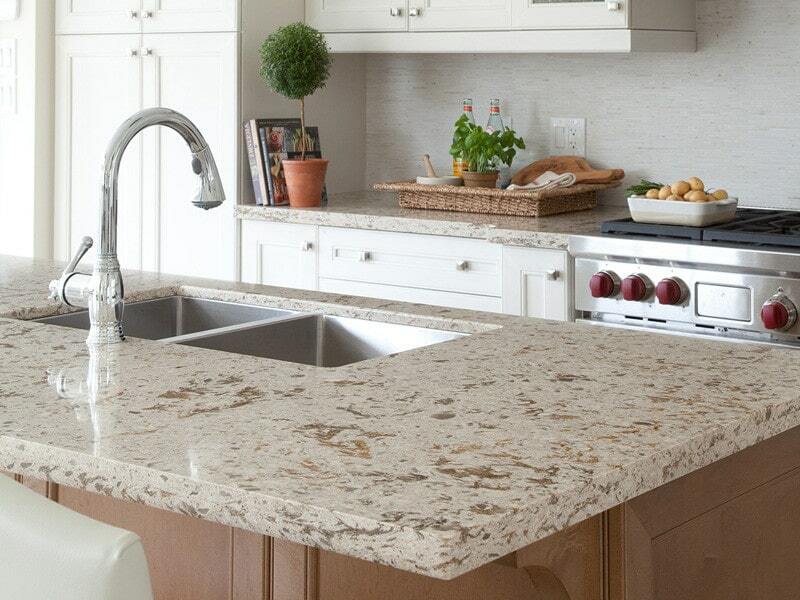 Quartz is just as solid, making it extremely durable, too. Just like granite it will also last indefinitely. And like granite (and anything else on this planet), it is not indestructible; it may be stained, chipped or scratched. You may clean them both similarly, as well. A soft cotton cloth, warm water and mild soap will do well on both surfaces. The costs between the two vary depending on the specific product. There’s a wealth of variety among them, making finding the one that really appeals to you a lot of fun. Sometimes one will be cheaper than the other, and vice-versa. It all comes down to what you choose. Colors and material also factor into the retail cost. There’s no definitive way to claim that one is clearly superior to the other. In this matter, too, it ultimately filters down to your personal preferences. For those that have an appreciation for beauty and natural veining, granite is ideal. If you prefer a design that is more consistent in appearance, quartz may be up your alley. One thing is certain; either surface will transform your kitchen or bathroom into rooms of dazzling appeal, and will most certainly have a positive effect on the resale value of your home.